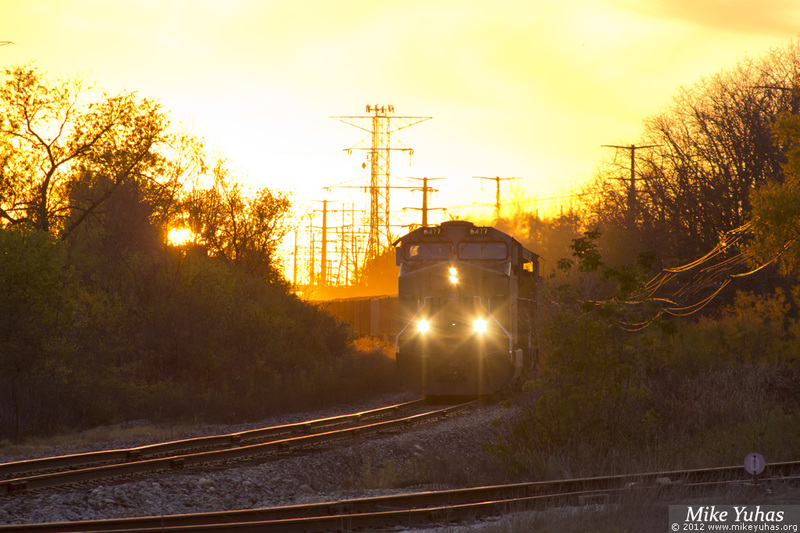 Union Pacific's CBTSH-13 train approaches 64th Street on the final leg of its journey from the Black Thunder mine in Wyoming to the Edgewater power plant in Sheboygan. A pair of AC4400CWs leads, followed by 136 loads of coal. Another GE in DPU mode brings up the rear.